Cinco de Mayo Could Give Entrepreneurs More Than One Reason to Celebrate! This weekend, millions of people across America will celebrate Cinco de Mayo – a traditional Mexican holiday inspiring celebration, fun and fiesta! Marketing expert, Charles Gaudet, founder of PredictableProfits.com, sees this festive time as an opportunity for entrepreneurs to capitalize on the celebration. While bars, restaurants, and other social gathering places are the first to come to mind as benefiting from Cinco de Mayo marketing ideas, smart business owners in almost any industry can also use this “party holiday” to spike in sales regardless of the business. 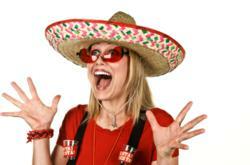 With honed Cinco de Mayo marketing ideas, retail and service businesses alike can develop methods to stimulate sales. Like any marketing campaign, Gaudet stresses that Cinco de Mayo marketing ideas need to be interesting, unique, and give the audience a reason to pay attention. With a little bit of research, business owners can align their marketing with the traditional elements of this Mexican-American holiday, and create some enticing deals in the process. 1. The Triumph of The Underdog – Cinco de Mayo is originally celebrated to commemorate Mexico’s unlikely victory over the French in the Battle of Puebla. It is this event that has helped turn the holiday into a source of Mexican pride, especially among Mexican-Americans. This piece of history makes a great theme for marketing campaigns as a story of triumph and rising above the odds – which can be equated to fighting back against oppressively high prices, defeating poor service, etc. 2. Have a Party! - For many, Cinco de Mayo has become a party holiday, more about going out with friends than heritage or a historical battle. If this seems more your style, you can focus on the celebration that is sure to ensue. This can provide an opportunity for food and drink specials, a ‘Cinco de Mayo’ open house inviting prospective customers to your business, hosting a customer appreciation day or discounts on fashion products for a night on the town. 3. Play on the number 5 – This can be implemented in any number of ways, from a “buy 4 get the 5th free,” to 5% discounts, to a $5 specialty product available with purchase. “Cinco de Mayo marketing ideas can be as diverse as the celebrations so long as they coincide with the interests and behaviors of your target customers,” Gaudet continues. “Don’t be afraid to think out of the box, people love being entertained and praise originality." For more information about aligning your unique marketing campaign with popular trends, please visit http://www.PredictableProfits.com and sign up for the free newsletter.